Hinduism offers a bountiful choice of pilgrimage sites to its followers. The fortunate ones come back with their faith renewed; while the others live by their tales as they continue to pray. Bright marigolds decorate the entrance of temples. Inside, a priest offers prayers to the idol at the sanctum sanctorum. He lights a diya (lamp) and places it next to the various sweets, and red hibiscus on a puja thali (a plate used for prayers). The whites of the jasmine flower garlands that adorn the gods, the pinks of the roses that lay at their feet, the orange of the priest’s attire, all make for a colourful, quintessential temple setting. Incense sticks placed next to the idols make the air light, crisp, and fragrant and the thin smoke that curls up from them makes for a meditative ambience. Inside a Hindu temple in India, in the backdrop of a similar holy setting, countless gods and goddess are worshipped amidst extravagant rituals. While some pray to Shiva or Vishnu, others pray to the elephant god, Ganesha, or Krishna and some bow their heads before Goddess Vaishno. Hindu religion, believed to be the oldest religion in India, and perhaps in the world, is the most widely practiced religion in India. The religion has about a billion followers in India; and about 95 pc of the world’s Hindus live in the country. As per Hinduism, there are 330 billion of gods and goddesses, including the creators and organisers of this universe, and their many avatars, who had set foot on Earth over a span of the four yugas or ages (Satya Yuga, Treta Yuga, Dvapara Yuga, Kali Yuga). It is believed that Hinduism always existed on Earth and is the very foundation of life on the planet, with the various avatars first walking on the face of it in order to kill the demons and bring an end to ill. There are thousands of marvellous tales that revolve around these gods, their avatars and their time in this world. Interestingly, there are also temples and shrines that give a visible and tangible edge to these tales also making the stories sound more real than mere myth. At the Jwalaji Temple in the northern state of Himachal Pradesh, where there is no idol of the goddess Jwala Devi, flames mysteriously erupt from walls in the temple and cannot be extinguished by any means. Although there are many Hindu temples across the length and breadth of India, that defy science, leaving visitors bewildered and devotees with a renewed faith, these five attract a distinguished footfall, perhaps also because they are accessible year round unlike some like the Amarnath cave temple, in which the sacred Shivalingam is formed naturally from ice every year. Located in the northernmost state of Jammu and Kashmir, the shrine of Goddess Vaishno is one of the most holy of places for Hindus. Residing in a cave that is situated in the folds of the three peaked mountain named Trikuta, Ma Vaishno Devi is a motherly figure for many. She is believed to be the one to full-fill the wishes of her children. The holy cave in which rest the pindis or the three natural rock formations, believed to be the goddesses, are situated at an altitude of about 1,600 metres. The devotees trek nearly 12 km from the base camp at Katra in Jammu up to the shrine. While most prefer to do the journey by foot, those who are unable to trek can ride up on horses or avail a helicopter facility. The temple is open throughout the year and is managed by the Shri Mata Vaishno Devi Shrine Board, the management of the shrine, which takes care of the pilgrims in this distant, cold land. In the island town of Rameswaram in Tamil Nadu, the Ramanathaswamy temple is a major religious and tourist attraction. Standing tall, at over 38m, the towering temple dominates the view of its neighbourhood and has come to be symbolic to the state. It borrows its name from Hindu God Rama. As legend goes, after killing the 10-headed Ravana ( a Hindu mythological character) in a battle in Sri Lanka, Lord Rama returned to India with his wife Goddess Seeta and first stepped on the shores of Rameswaram. Ravana, a Brahmin, had abducted Goddess Seeta, and so in order to wash away the sin of killing a holy man, Lord Rama offered prayers to Lord Shiva. Since there was no temple dedicated to Shiva on the island, Lord Rama had a shrine built with the aid of his disciple Hanuman and wife Seeta. Housing the sacred Shivalingam, this temple is one of India’s holiest shrines. Dating mainly from the 16th-18th centuries, it’s notable for its 1000-pillar halls and 22 theerthams (temple tanks), in which pilgrims bathe before visiting the sanctum sanctorum. Located at Puri in the state of Odisha, this 11th century temple is one of the char dhams, the four main Hindu pilgrimage sites. The Jagannath Temple is dedicated to Lord Jagannath-the lord of the universe, and to the lord’s siblings Subhadra and Balabhadra. The ebony hued idol that represents the revered deity is hugely popular among its followers. The Lord’s brother Balbhadra and sister Subhadra reside supreme in the central jagamohan (assembly hall). Idols of the three deities are dressed in new apparel and showered with flowers, daily by priests. Taking care of the idols keeps the priests busy all day as they change the gods’ dresses as per various daily ceremonies. As per reports, the temple employs about 6,000 men to perform the complicated rituals involved in caring for the gods. 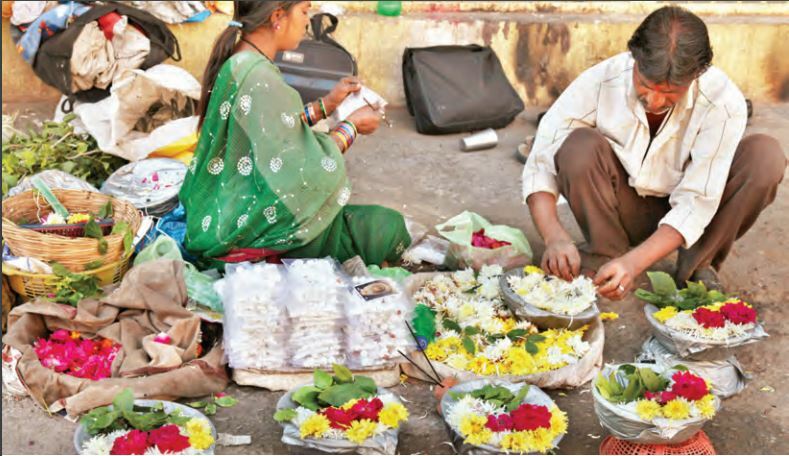 An estimated 20,000 people – divided into 36 orders and 97 classes – are dependent on Jagannath for their livelihood. The temple is also known for its chamber full of cockroaches, which are believed to be existing their as a form of god. A draw for devotees from across the world, the temple does not allow anyone except Hindus. Located in the western state of Gujarat, the Somnath temple has its tales of myths, like most places of worship, but it’s best known for the frequent vandalisation and demolitions by Muslim invaders and its resurrections thereafter. The temple is believed to first have been built by the Moon God, Soma, who made it entirely in gold. It, however, did not survive and was then constructed again, this time by the Sun God Ravi, who made it out of silver. It had to be made again though, and Lord Krishna used wood to make it this time. 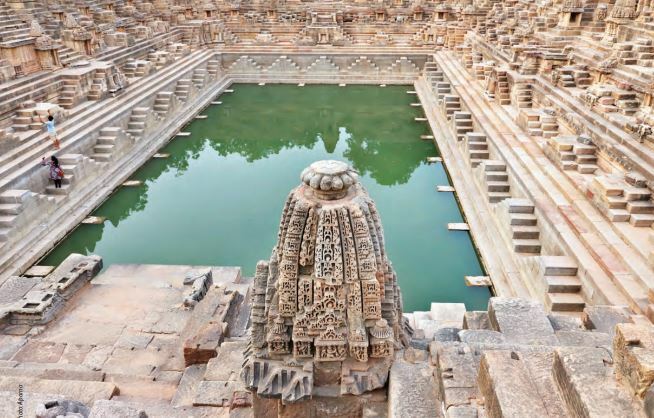 In the 11th century, it was built in stone by the Solanki Rajputs; and the present temple, which is the seventh reconstruction on the original site, was built in 1951. Not just its reconstructions, it is also known for its riches, which have attracted a series of invasions and thus losses. However, as the history of the temple has it, it has always been saved. After every invasion the temple would be restored to its original glory by devout Hindu worshipers. Located in Guwahati, the largest city in Assam, Maa Kamakhya Devalaya or Kamakhya Devi temple is considered to be one of the oldest temples in India. Also, one of the 51 in shakti peethas (significant shrines and pilgrimage destinations in Shaktism, a Hindu tradition of worshipping the powerful goddesses), it is thus also one of the most sacred. Maa Kamakhya is the said to be goddess of desire and this shrine of hers is completed with temples of 10 of her avatars. Just like any other religious place, there are various legends and myths associated with this temple. One of the earliest stories dates back to the temple’s creation. As legend has it, Goddess Parvati despite being forbade by her husband Lord Shiva, went to attend a yagna (a holy ceremony) performed by her father Prajapati Daksha. Lord Shiva and the Goddess were not invited by Daksha; so after She reached the site of the yagna, Daksha started to insult Lord Shiva in front of everyone present. Unable to bear the insult, the Goddess took her life at the spot. When Lord Shiva, also known for his rage, came to know about the incident, he rested the lifeless body on his shoulders and started performing tandava (a dance associated with the lord, which he performed only in rage). While the other lords tried to calm Shiva, they failed. Lord Shiva then dismembered her body into 51 parts, which fell on different places that are now the shakti peethas. According to Hinduism, the age of universe is divided into various yugas or eons; and as life is cyclical, the Yugas, too, complete a full circle and come back in the same order. Satya Yuga: Also referred to as the golden age, it saw its people as being godly with an average life span of 100,000 years at the beginning of the yuga. It is also known as period when one would meditate through the course of their life. Treta Yuga: Also called the silver age, it saw its people live an average 10,000 years with a decrease in their godly qualities. From meditation, people started deviating to the course of sacrifice. Dvapara Yuga: Referred to as the Bronze Age, during this time, the godly qualities in people reduced dramatically again and so did the average life expectancy, which was now only 1,000 years. This is the age when people started to worship deities within temples. Kali Yuga: Believed to be the current age, or the Iron Age. The Godly consciousness has nearly disappeared and life expectancy is less than 100 years. By now already 5,000 years (which is also the age of the Indian civilization) of Kali Yuga have passed and it is predicted that by the end it, human lifespan will not extend beyond 20 years and they will be forced to eat meat in the absence of any vegetation. People in this age pray by chanting holy names of lords.